See how agile planning can replace static planning to help CFOs bring real value to the business and respond to challenges in real time. Many finance teams are swamped by basic financial management duties. Essential information that resides on multiple spreadsheets may be incomplete or out of date, depriving organisations of a valuable opportunity to take action quickly and react to new customer requests or sudden shifts in the business environment. The ability to move rapidly is critical for top-performing organisations that want to gain or maintain a crucial competitive edge. 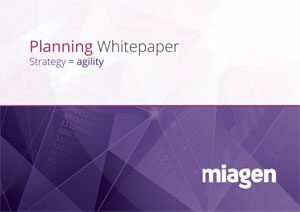 This white paper shows how moving to an agile planning model can allow finance leaders to make the transition into a leadership and guiding role.